If you have the desire to see fast results, and you don't mind working hard to get them, then this is the ebook for you! This "Four Weeks to a Better Body" ebook will help you feel and look better than ever! 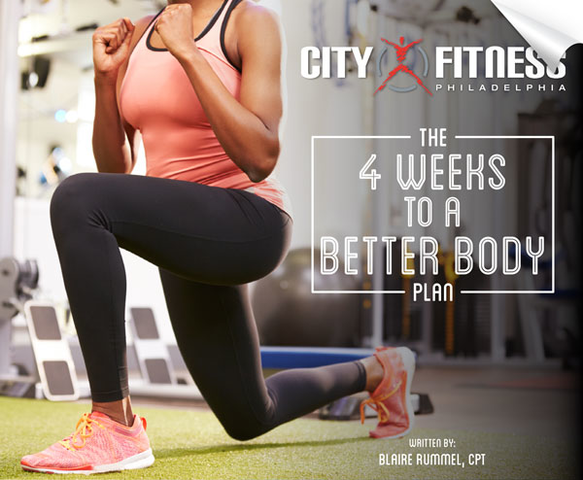 Blaire Rummel, Certified Personal Trainer and fitness competitor, walks you step-by-step through a simple and easy to follow 4-week workout and diet plan. This book contains everything you need to know to start a successful and healthy lifestyle. Follow these simple steps and you can expect to lose 5-10 pounds on average and 1-2 dress sizes and unwanted body fat. Learn how to build lean muscle and sculpt your body along with your mind, helping you make more nutritious food choices. Eating right is a huge factor in getting and keeping the physique you've always wanted. Blaire takes you past the kitchen too by showing you what gym exercises and cardio routines are the most effective for achieving a better body. No stone will be left unturned as she walks you through diet, fitness and best health practices you can follow each day! After these 4-weeks are finished, you'll be well on your way to enjoying a healthier lifestyle! Refer to this ebook often to ensure that you remain fit and in great shape!